Czech ZB37 on a first model tripod. 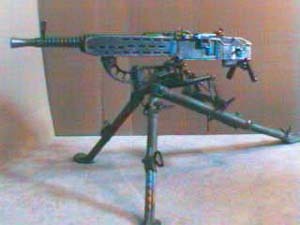 It is an 8mm mauser belt fed heavy MG with two rates of fire. Used in WWII by the German and Axis powers and after the war by israel, greece and many other countries.